Twenty eight miles from mainland Britain, the Isles of Scilly offer migrant birds first landfall on their arduous journeys across the Atlantic. The Isles have been divorced from the rest of Cornwall since the last Ice Age, and from one another since Roman times. 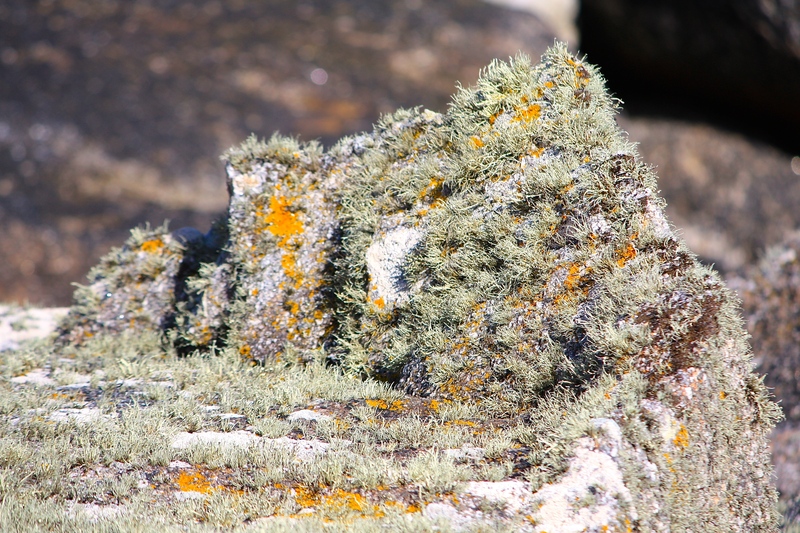 Of the 145 islands and islets only five are currently inhabited, leaving the rest to nesting birds, shaggy lichens and grey seals. Even the settled islands appear pristine to eyes accustomed to mainland living. Pastures grow improbably emerald green; the hedgerows are abundant with a unique blend of wild and exotic flora; and the beaches glitter with white, crystalline sand, free from unsightly flotsam and jetsam. The human population numbers around 2,200 and vehicles are limited to a handful of cars, tractors and golf buggies. The air is sweet, clean and often blown vigorously up one’s nostrils! 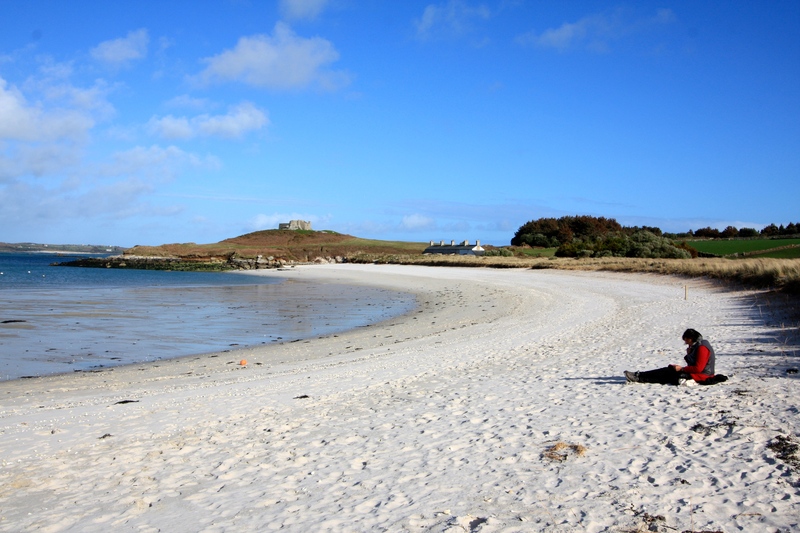 Responsibility for the wildlife occupying 60% of the Scillies’ land area lies with The Isles of Scilly Wildlife Trust. A team of six work to conserve and restore natural and marine habitats, landscapes and archaeological sites for the enjoyment of residents and visitors. The Wildlife Trust is the second smallest in the UK, but has a challenging remit in terms of accessing the rugged islands it cares for. In good weather working outdoors on the Scillies might appear to be a dream job, but on rough days wildlife wardens need to be made of stern stuff. 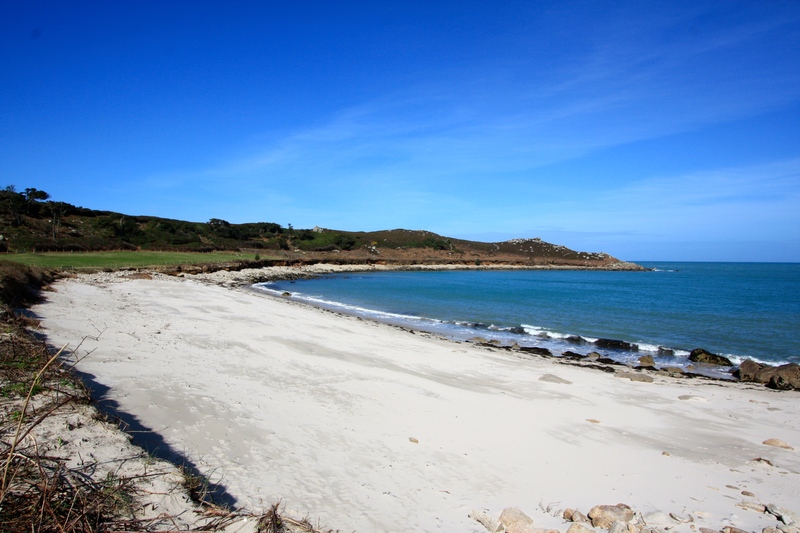 Tresco, leased in its entirety by the Dorrien-Smith family since 1834, is one of the islands that is not within the trust’s stewardship. However as part of the Tresco’s Easter events programme Darren Hart, Conservation Warden, was invited to lead a wildlife walk around the rugged northern part of the island. Tresco is an island of three parts. At the southern end there are dunes, fresh water lagoons, pine woods and crescents of sparkling sand. 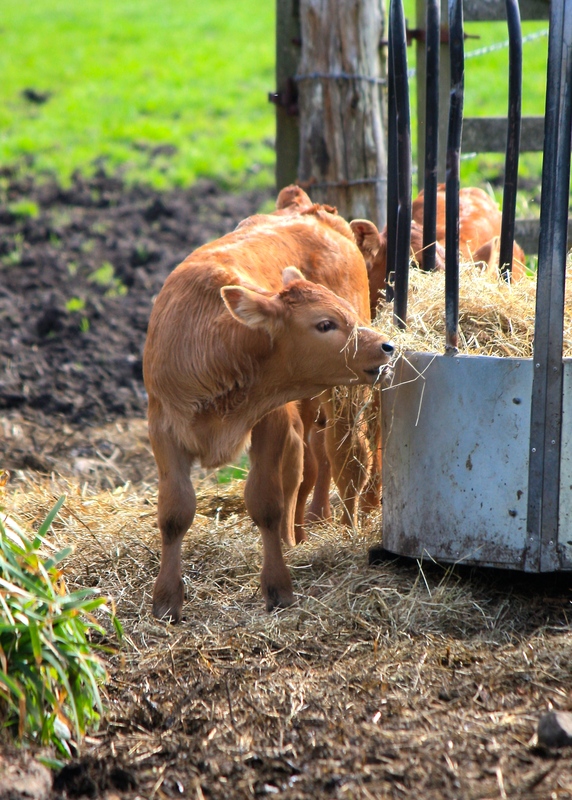 The middle section is covered by luxuriant farmland, famed for its beef herds and daffodil fields; it also shelters the tiny settlements of New Grimsby and Old Grimsby. The scene changes radically at the unpopulated northern end of the island, where King Charles’ and Cromwell’s ruined castles preside over a bleak, closely shaved landscape of heather, gorse and lichen-covered boulders. Our walk began at the Ruin Beach Cafe, close to Old Grimsby Quay, and took us around to the lovely curve of sand that is Gimble Porth (above). Here we stopped to admire spreading clumps of heath dog violet (Viola canina), the three-cornered leek (Allium triquetrum) and the flight of a heavy, buff-tailed bumble bee, probably a queen. Darren explained the challenges of managing a flora where there are so many introduced species. 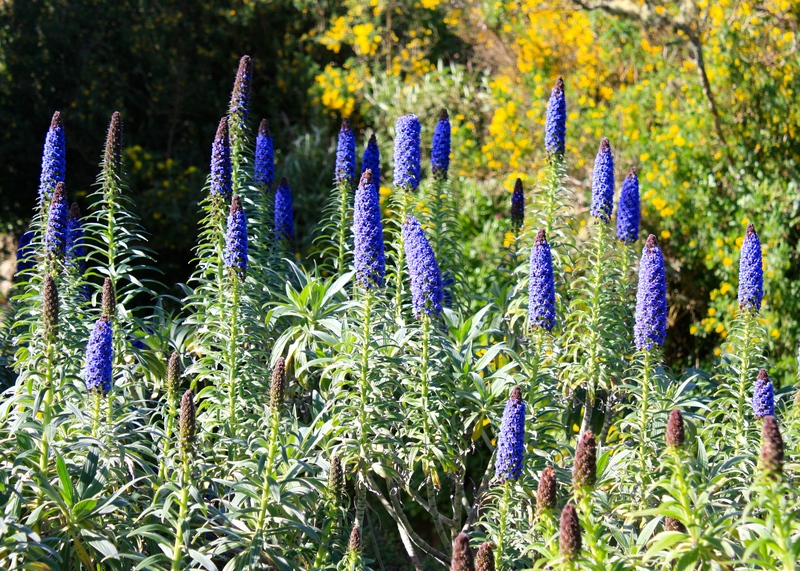 Some, such as Echium candicans (below), cause little bother and are attractive to both bees and butterflies. Others, such as Rhododendron ponticum, pittosporum and olearia, are more problematic, finding their way onto the uninhabited ‘off islands’ and crowding out native heath. A policy of judicious management, rather than eradication, is employed, recognising that alien species are unlikely to be stamped out completely. One creature that does face eviction from the Scillies is the brown rat. Rats create havoc for nesting birds, stealing their eggs and chicks. Over winter a project was undertaken to exterminate rats completely from the inhabited island of St Agnes, which at 1.4km from its nearest neighbour is beyond the limit at which new rat populations can swim over. It is hoped that the absence of rats will also benefit the nearby island of Annet, where many rare, migrating birds choose to nest. Sadly we didn’t encounter any grey seals, although the Scillies have a healthy population, mainly around the Eastern Isles and Western Rocks. Darren talked to us about oyster catchers, so plentiful on Pentle Beach the day before, but taking their distinctive squeaks elsewhere on the day of our walk. We learned that oyster catchers display some of the same behaviour as cuckoos, planting spare eggs in the nests of other species for incubation. 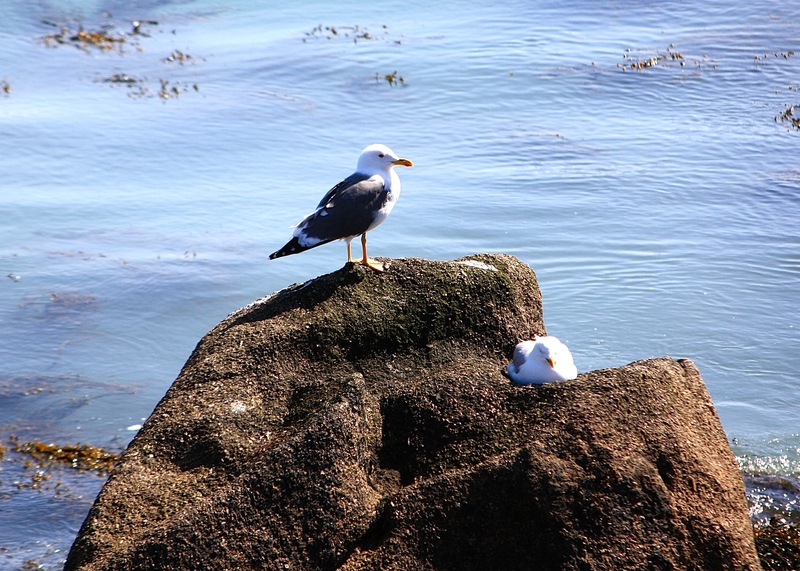 Darren also explained the differences between the Scillies’ four different gulls, including the lesser black-backed gull, pictured below. At the northern-most tip of Tresco we stopped to admire mounds of thrift (Armeria maritima), English stonecrop (Sedum anglicum) and a patchwork of lichen covering weathered boulders. Looking closely we could see that barely any of the granite’s surface was free of lichen cover; even the black patches were living organisms. In this harshest of environments, soaked by salt spray and baked by the sun, it amazes me that these fascinating organisms can survive here. Darren shared his knowledge with great enthusiasm and passion. Originally from mainland Cornwall he’s now settled on St Mary’s, the archipelago’s largest island. He clearly enjoys his important work, caring for and protecting some of Britain’s most unique and beautiful landscapes. After two hours of nicely paced plodding we adjourned to The New Inn with a greater appreciation of our beautiful surroundings and lots of fascinating facts to share with our friends on our return to the mainland. Click here to learn more about The Isles of Scilly Wildlife Trust and watch the short video below to find out more about the beautiful island of Tresco. All photographs are my own and were taken earlier this week – I am feeling rather proud of them and hope you enjoy them too! 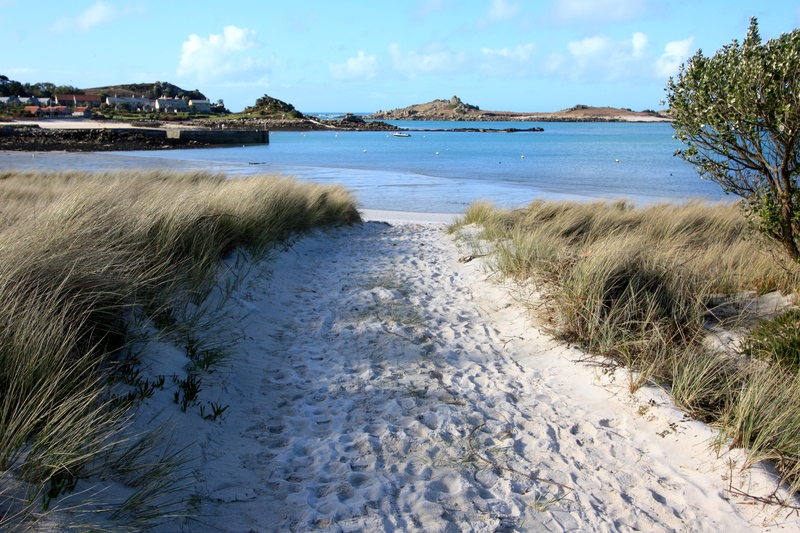 How beautiful, Tresco looks very tranquil and the guided walk a great way to get to know the island better. The images and light you have have captured in your photographs are lovely, you should be proud. Thank you for sharing the links too. Thank you Julie. It’s such a lovely place to go – not many people make the effort, which is why, I guess, the islands remain unspoilt. Super shots Dan which have made me very envious and yearning to return to my favourite place aside from Start Bay Devon of course. Thank you Anna. I am hoping we’ll go for a week next time – either later this year or next spring. Hopefully you’ll like the Abbey Gardens post too! Lovely photos. Tresco is magical and one of my favourite places. Every time I have been it has been sunny and warm and so that is how I always see it in my mind’s eye. The garden is absolutely amazing; so exotic looking for the UK. In fact it was Tresco which taught me to love succulents. What a fascinating place! Your photos are lovely and really show the flavor of the island. 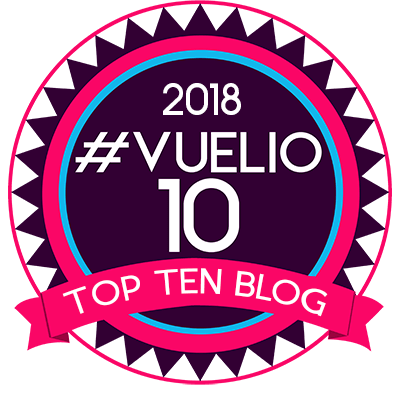 On my only trip to cornwall, a place I had dreamed for many years of visiting I so wanted to take the trip to Tresco, but our schedule just couldn’t fit it in. Some day I plan to go there!! 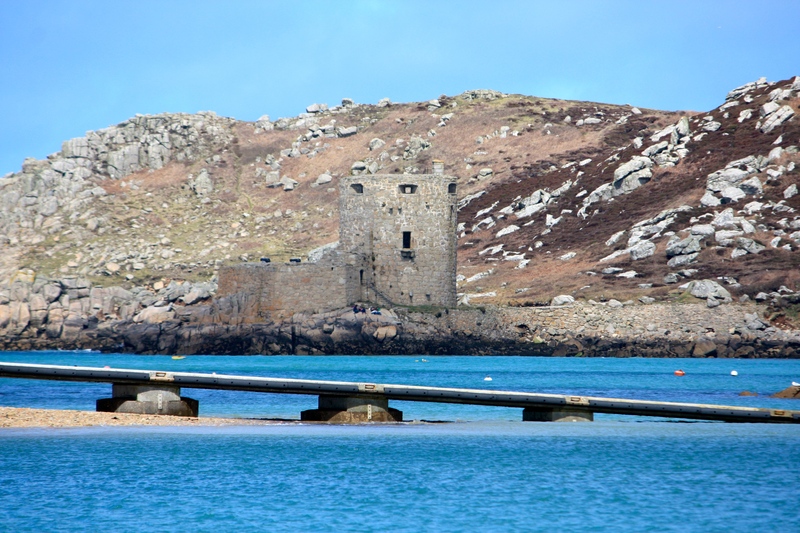 I have always been fascinated by island living and the Scillies were one group of islands I knew very little about. Your stunning photographs and well written prose offered many insights. Perhaps one day I may even visit these delightful places. Thank you for sharing them with us. Thank you Mary. I hope you do get there one day. I am also fascinated by the idea of living in such a small community. I am tempted to believe I might enjoy it, but I also acknowledge it must be pretty tough, especially during the winter. I think there is a time in one’s life when it may suit better, perhaps when the fascination with the bright lights has started to wane! It’s a Canon EOS 450D. Nothing too posh. Thank you for the lovely comment.